25 Apr : About 20 passengers and crew of an Emirates flight from Dubai to Kochi were injured today when the aircraft ferrying 364 people encountered severe turbulence while flying over Bangalore region shortly before landing at the airport in Kochi. After the incident occurred at 08.50 AM, the Directorate General of Civil Aviation launched an inquiry and grounded the plane. The Boeing aircraft EK530 with 350 passengers and 14 crew members on board encountered a weather cloud near Bangalore. 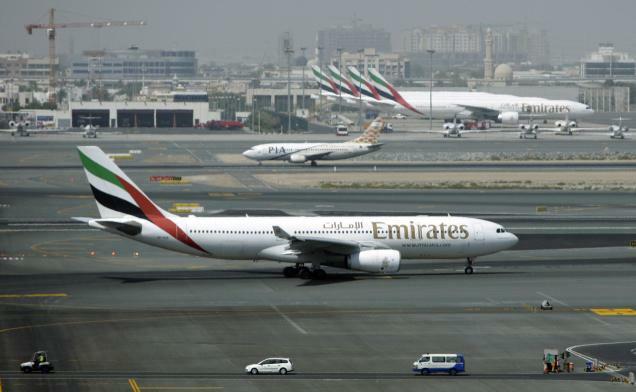 A short period of heavy turbulence prior to descent into India caused minor injuries to about 20 persons, Emirates said in a statement. “An inquiry has been ordered into the incident. DGCA is carrying out air safety investigation. The aircraft will leave the country only after it is certified,” Directorate General of Civil Aviation Nazim Zaidi told a news agency in New Delhi.